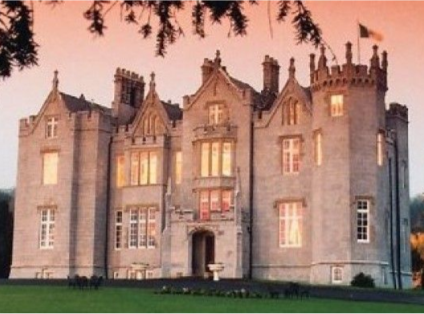 Set at the foot of the haunting Slieve Bloom Mountains and dating from 1209, this impressive Gothic castle hotel is set within a stunning 650 acres of parkland and forests. Each of its individually decorated rooms features classic decor and unique, original features and furnishings. The overall atmosphere at the hotel will sweep you to a bygone era whether you relax in one of the stunning lounges or enjoy a drink next to the fire in the wood-paneled library bar. 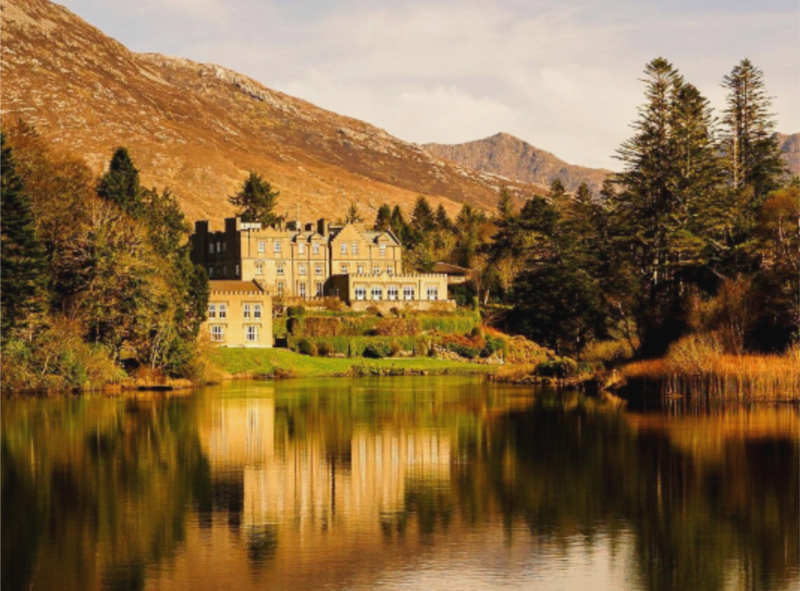 One of the finest castle hotels in Ireland, Ballynahinch is set on a private 450-acre estate of woodland, rivers and walks in the heart of Connemara, Co. Galway. The authentic and unpretentious castle hotel stands proudly overlooking its famous salmon fishery, with a backdrop of the beautiful 12 Bens Mountain range. Ballynahinch Castle Hotel is the perfect base for relaxing and enjoying this spectacular region. Standing high on the slopes of the Holywood Hills, overlooking Belfast Lough and the County Antrim Coastline, the magnificent Culloden Estate and Spa was originally built as an official Palace for the Bishops of Down. 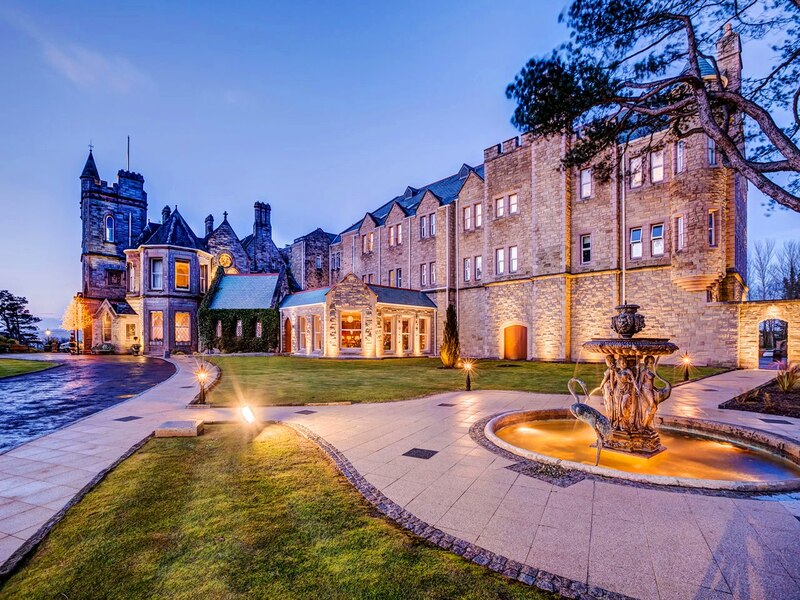 Set in 12 acres of secluded gardens and woodlands the hotel’s palatial surroundings, exquisite decor, fine antiques and exceptional service combine to give the Culloden an unmatched elegance.